We can custom make and print newspaper and plastic door hanging bags to your exact needs and desires. High and low-density poly Door Knob Literature Bags can be made with door knob hang holes and can be mounted on cardboard headers for quick and easy loading. Plastic bags protect Newspapers, Magazines, Brochures, Coupons, Flyers and other important literature from the elements. 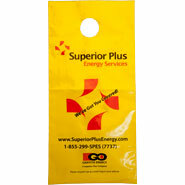 These literature or newspaper hanging bags can be perforated for easy tear-off. Hanging door bags can be packed 100 bags per header pack. 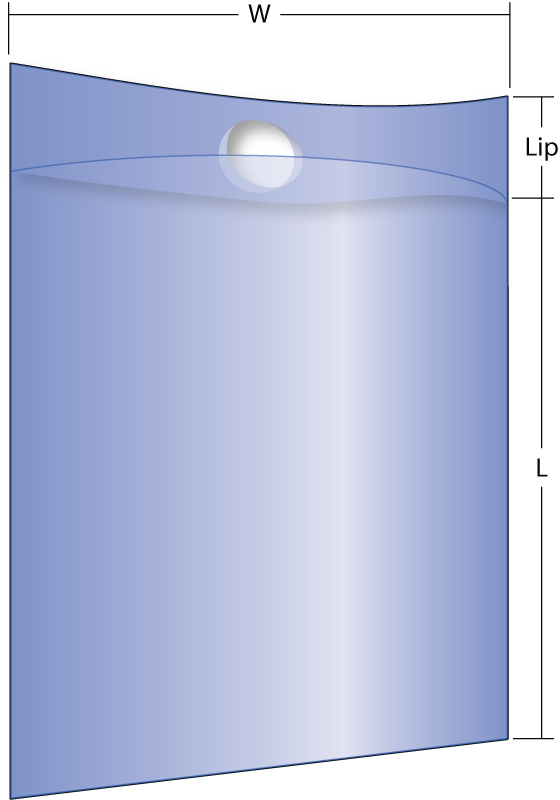 FYI: The door knob hole most often measures 1-1/2", and is positioned 2" down from the top of the bag to the top of the hole. Please allow 1/2" down from the bottom of the door hanger hole until the artwork begins to print. Some of our customers wish they would have ordered a bag that had a slightly longer length, ESPECIALLY when they have placed bulky items such as magazines, thicker brochures or catalogs in the bag, since those items, tend to take up more room and therefore take up more length to accommodate their bulkiness.